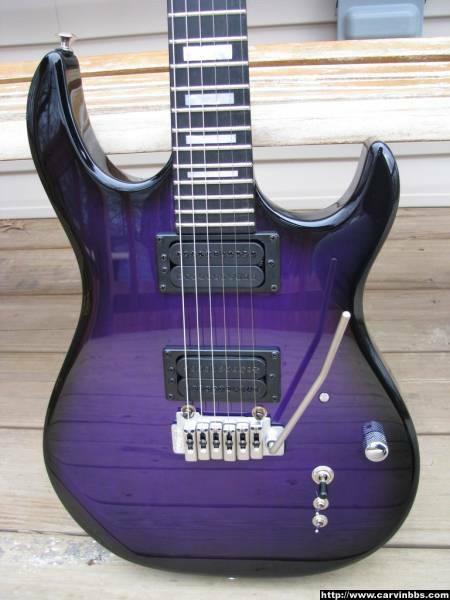 After not finding enough pics of translucent finishes really looking good on alder, and since I don't want a lot of wood grain, or any quilting or flame, I think maybe a plain maple top may be the best way for me to go. The only translucent finishes I'm really interested in are blue, green, and red. My concern is that a plain maple top will be as light toned/colored as a maple neck. Which of course loocks almost white and all washed out on neckthroughs with a translucent finish. That's a look I do not want for a body top course. So is that the case or not? Last edited by Sentinel on Wed Aug 08, 2018 1:01 am, edited 3 times in total. maple is juust light enough when natural, that a lot of cameras will adjust their white balance to it, making it seem more bleached/washed out then it would ever look in real life. maple, unless actually sort of "bleached" will always have a bit of beige/yellow to it. 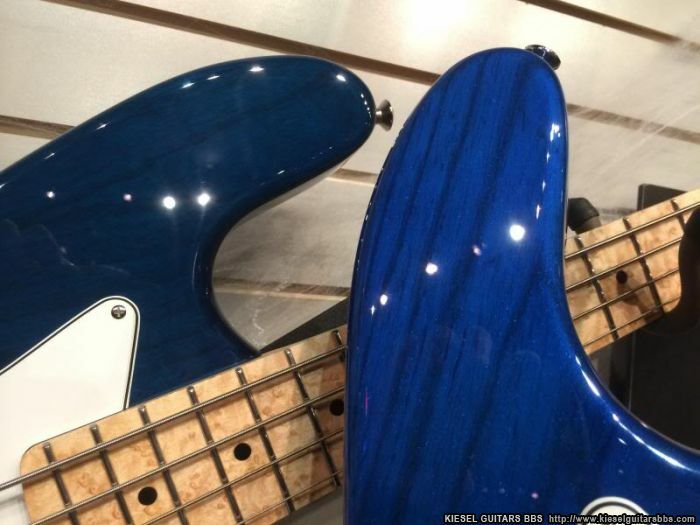 Too bad this color was discontinued recently...this is their normal trans blue on alder in the back, and the discontinued trans pearl blue on ash in the front. Thank you spudmunkey. That's all very helpful, and encouraging that I may be onto the right thing here. I think the picture makes it look a little more orange than it is; it's crimson to my eye. Thanks for sharing this. I should have specified that I'm going for a gloss finish, which I know makes a pretty big difference on how these colors appear. 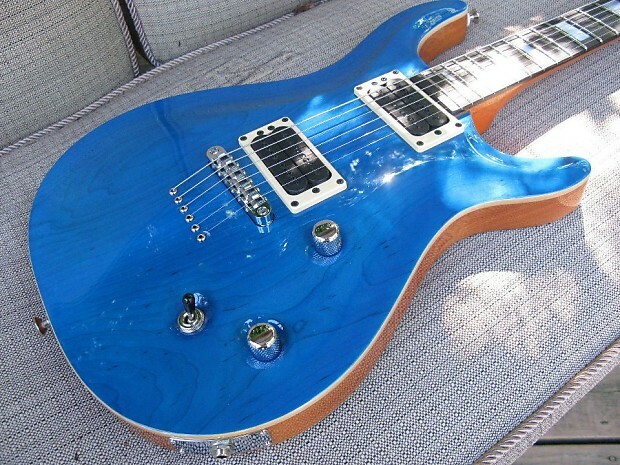 Sentinel wrote: After not finding enough pics of translucent finishes really looking good on alder, and since I don't want a lot of wood grain, or any quilting or flame, I think maybe a "Plain Maple Top" may be the best way for me to go. The only translucent finishes I'm really interested in are blue, green, and red. I will be ordering these in a "gloss" finish. I don't think gloss is going to make the red any lighter or darker, though. 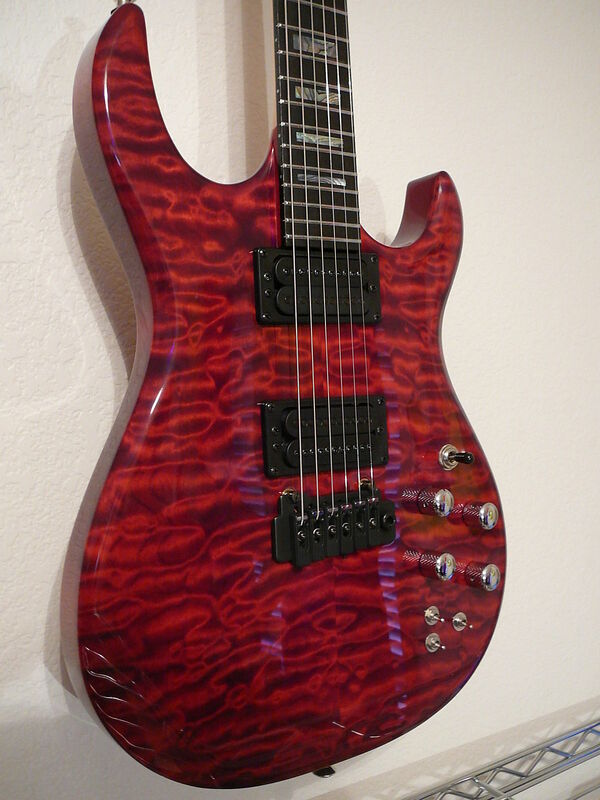 I think this is a pretty fair representation of how dark ruby red (DTS) will look on a maple top. Each piece of wood takes the stain differently but this'll get you in the ballpark.